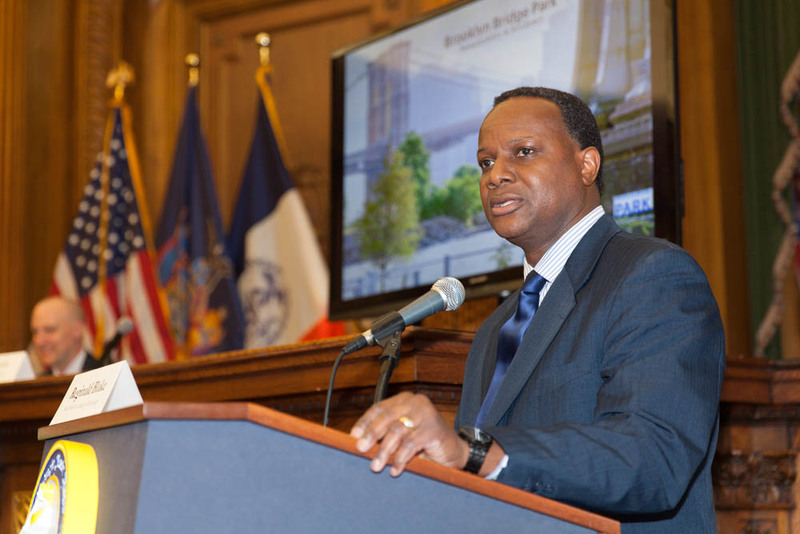 BWRC hosted its ninth annual conference, Living in Brooklyn: Housing along the Brooklyn Waterfront on April 12, 2019,at City Tech’s new academic complex. The conference this year focused on two of the greatest challenges facing housing along the waterfront: gentrification and climate change. Over 200 community members, activists, students, scholars, and agency officials registered for the event. The morning began with an introduction of the history of Brooklyn’s waterfront, featuring Dr. Kurt Schlichting of Fairfield State University. Dr. Schlichting, a BWRC Research Fellow, contributed original research and a white paper, “Housing along the Brooklyn Waterfront: A Story of Shipping, Industry and Immigrants.” The paper, which is also included in our conference program, covers the dramatic changes the waterfront has undergone since the eighteenth century. Once among the largest and busiest ports in the world, Brooklyn’s waterfront was also home to a series of immigrant enclaves over the years, with communities hailing from Germany, Ireland, Norway, Italy, and Eastern Europe dotting the neighborhoods behind the ports. Deindustrialization, suburbanization, and redlining practices radically transformed the waterfront in the postwar era, and the housing stock and working waterfront fell into decline. Over the last thirty years, however, the Brooklyn waterfront has experienced a resurgence in population and an economic transformation. Rather than innovations in manufacturing and shipping, the greatest challenges for residents in these neighborhoods are gentrification and displacement. Following the historical overview, Jessica Yager, Vice President of Policy & Planning at WIN (Women In Need) provided the audience with the framework and context of housing affordability along the Brooklyn waterfront. Yager introduced each neighborhood, from Williamsburg to Coney Island, DUMBO to East New York, noting their similarities (housing has gotten less affordable in every neighborhood along the waterfront) and their differences (Coney Island has over 40,000 housing units in the 100-year flood plain, compared to 48 in East New York). The first panel, moderated by Dr. Nicholas Bloom of the New York Institute of Technology, featured speakers from the New York City Department of Housing Preservation & Development (HPD) and the Department of City Planning (DCP). 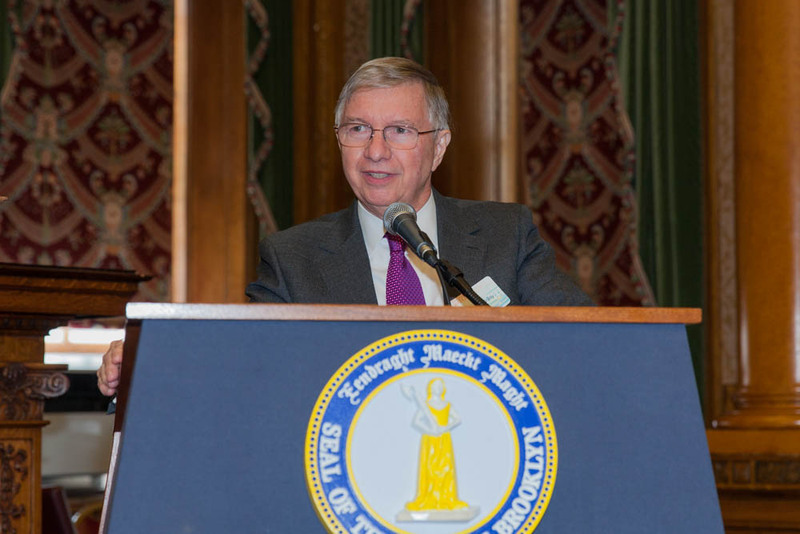 John Mangin, Senior Counsel at DCP, gave a brief history of subsidized and affordable housing policies in New York, noting the role that zoning designations can play in activating land for residential development. Fabiana Meacham, Chief of Staff at HPD, introduced the Mayor’s affordable housing plan, which aims to build and preserve 300,000 affordable homes by 2026. Brendan McBride (Associate Commissioner for New Construction) and Rona Reodica (Assistant Commissioner for Building & Land Development Services), both from HPD, detailed the various financing instruments available for New York to build affordable housing and the design guidelines that shape new construction. Dr. Alex Schwartz, Professor of Urban Policy at the New School, wrapped up the panel by pointing out the tremendous budget gap facing public and subsidized housing and the limitations this poses for policymakers. City Tech professor of architecture, Jason Montgomery, led the second panel, “Affordable Housing against the Odds: Innovative Developments along the Brooklyn Waterfront.” Private and non-profit housing developers engaged in a lively conversation about their respective efforts to provide quality affordable housing for a range of residents. Martin Dunn, President of Dunn Development, Frank Lang, Director of Housing at St. Nicks Alliance, Brenda Rosen, CEO of Breaking Ground, and Michelle de la Uz, Executive Director of Fifth Avenue Committee, introduced their respective development portfolios along the Brooklyn Waterfront. Among the greatest challenges facing affordable development, the panelists agreed, are the costs of land and construction. “Affordable housing isn’t affordable to develop,” noted de la Uz. During lunch, Professor Emeritus Tom Angotti of CUNY delivered a rejoinder to the morning’s panels, “The Future of the Brooklyn Waterfront: Affordability and Resilience Are Not Enough.” Dr. Angotti emphasized that community and social resilience, cultivated through social justice activism, are fundamental steps toward climate resilience and housing affordability. Without robust community organizing and activism, neighborhood planning cannot preserve affordability and equity. The lunch address was a great segue into the third panel, “Preserving and Expanding Housing Affordability through Organizing.” Oksana Mironova of the Community Service Society of New York moderated this panel, which featured organizers and planners from the Brooklyn Waterfront. Michael Higgins, Jr., lead organizer for Families United for Racial and Economic Equality (FUREE) discussed the challenges of balancing the various needs of the Gowanus community during the rezoning, including NYCHA repairs, industrial preservation, affordable housing development, and EPA remediation. Tevina Willis of the Red Hook Initiative discussed her efforts to bring policy attention and government investment to the Red Hook houses, noting that “when you speak of affordable housing, public housing is always the last last note on the last page. My work is to get public housing on the first page of these reports.” Renae Widdison, Director of Land Use and Planning for Council District 38 in Brooklyn, outlined her office’s approach to new economic development initiatives: “How will this benefit the people in this community?” The upcoming vote on New York’s rent laws are a huge issue in the affordable housing world this year, and Cea Weaver, campaign coordinator for the Upstate/Downstate Housing Alliance, offered critical insights about the role of real estate interests in housing access, the cycles of investment and gentrification that transform communities, and how critical organizing is to preserving and promoting equity across the city. The final panel, “Housing Resilience: Strategies for Climate Readiness,” was moderated by City Tech professor of architecture Illya Azaroff. What are the primary challenges for the future of housing along the Brooklyn Waterfront? Professor Azaroff pointed out that sea level rise could reach 108 inches over the next 80 years, flooding most of the low-lying areas of New York City and displacing 400,000 people. Architects and planners have already started thinking about these challenges, including Deborah Gans, Founder and Principal of GANS Studio. Gans described how she and her colleagues design for resiliency, whether through elevated home or native grass landscaping. Michele Moore, Director of Recovery and Resilience at NYCHA, outlined the devastation left by Hurricane Sandy in NYCHA buildings across the five boroughs and explained how new funding would upgrade and protect the homes of over 600,000 low-income residents. Homeowners in the flood areas face a completely different set of obstacles and challenges as sea levels continue to rise. Rachel Stein, Deputy Director of Sustainability and Resiliency at the Center for New York City Neighborhoods (CNYC) covered the various programs and strategies she and her colleagues pursue to assist homeowners, including flood insurance information, resiliency audits, backwater valve installations, and energy efficiency training. Dan Wiley wrapped up the presentations on this panel, discussing the roles federal funding and resources can play in designing resilient communities for the future. The last panel introduced an important, albeit difficult, question: Should there be housing along the Brooklyn Waterfront, or is it time to move residents and resources inland? Michael Marrella, Director of Waterfront and Open Space Planning at DCP joined the panelists to broach this question and explore the many challenges and opportunities facing waterfront planning in the coming decades. The fundamental issue, noted Marrella, is that unequal wealth and resources across different neighborhoods will ultimately determine the impact of climate change on these neighborhoods. BWRC Director Richard Hanley closed the conference with a few words, thanking participants and staff for their contributions. 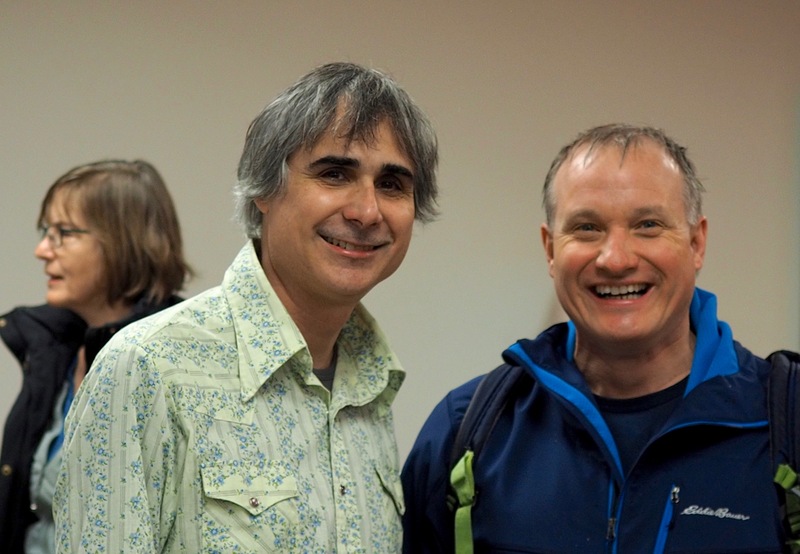 Many thanks also go out to Robin Michals and Jeremy Renner for generously photographing the conference. Lastly, stay tuned for more information about our next Breakfast Talk, which will feature speakers discussing the Solar One project in Sunset Park. BWRC hosted its first Breakfast Talk of 2019 on March 15th. Last fall, the Brooklyn Navy Yard publicly released an ambitious Masterplan for the future development and growth of its 200 acre-plus campus. 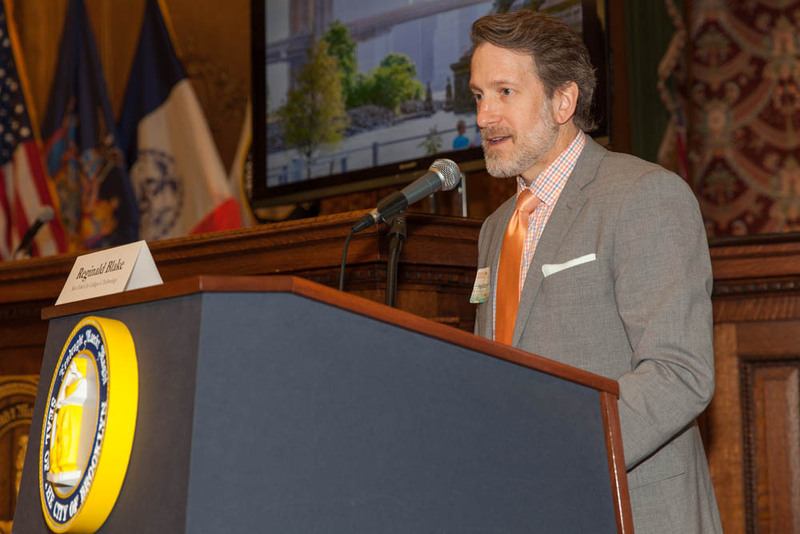 Adam Lubinsky, AICP and Managing Principal of WXY Studios, introduced the community to the civic and physical infrastructure that are included in the Masterplan. Once the largest employer in the five boroughs, the Navy Yard was decommissioned in the 1966 by the federal government as an active defense industry site. Although the city maintained the property and leased some low-cost production space to tenants in the following decades, the ramifications of losing nearly 70,000 jobs had a tremendous impact on the surrounding communities. Since taking over management of the Navy Yard in 1981, the Brooklyn Navy Yard Development Corporation (BNYDC) has put great efforts into revitalizing manufacturing and creative industries in Brooklyn by leasing production and office space at below-market rates to a variety of tenants. Competition is already fierce for available space on the campus, and the limited availability also limits the growth, and thus employment, potential of the industries operating there. Currently, about 8,000 jobs are held at Navy Yard firms. All pre-existing buildings have now been rehabilitated and filled, which leaves BNYDC with only one option: to build more. BNYDC and WXY Studios project that with the new buildings, the Navy Yard could host nearly 30,000 jobs. Lubinsky walked the audience through a birds-eye view of the future, highlighting critical design elements like “vertical manufacturing” buildings, pedestrian, ferry, and bike connectivity to the surrounding community, and the integration of social infrastructure like day care, public programming, and educational facilities. The opening of the Brooklyn STEAM Center (Science, Technology, Engineering, Arts, Math) in Building 77 earlier this winter marked a watershed moment for innovative public education and career training in New York City. The morning’s second speaker, Katie Beck-Sutler, Vice President of Workforce Development at BNYDC, presented the structure and guiding ethos of the STEAM Center within the Navy Yard. The STEAM Center is managed and run by the Department of Education and pulls junior and senior high school students from eight Brooklyn schools. Students spend a half day taking courses at their base high school, and then spend a half day at the STEAM Center, working closely with industry experts and entrepreneurs in fields like coding, digital design, culinary arts, construction, and media arts. Students receive on-the-job training, industry-recognized credentials, and leave with a portfolio of work that can jump-start their next step after graduation. More importantly, noted Beck-Sutler, students are immersed in a professional environment. In addition to the technical skills they learn in the classroom, students are exposed to the subtle “soft” skills that are critical to career advancement. Working directly with entrepreneurs and firms in the Navy Yard is a huge advantage because it develops a pipeline of talent aligned with industry needs that will benefit both student and employer, encouraging company growth and economic development in Brooklyn. We’d also like to remind you that on April 12th, BWRC will be hosting its annual conference at CUNY City Tech. “Living in Brooklyn: Housing along the Brooklyn Waterfront” will feature panels discussing affordable housing policy and financing, various development strategies, the role of organizing and tenant’s rights in preserving affordability, and what the future may hold for residents along the waterfront as sea levels and storm surges continue to threaten the viability of housing. 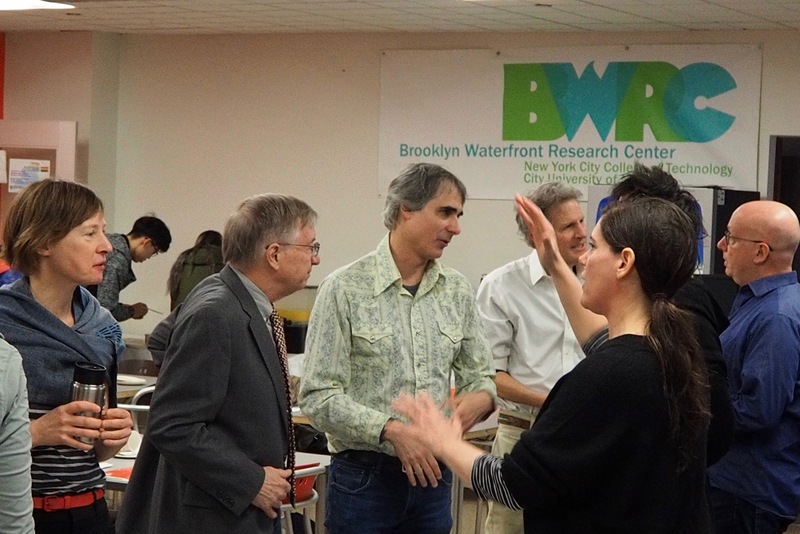 On Friday, November 16th, BWRC hosted a lively discussion on the the future of the Gowanus waterfront. Michelle de la Uz, Fifth Avenue Committee Executive Director, was the first speaker and she outlined the major demographic shifts underway in Gowanus. Most importantly she noted, between 2000 and 2015 much of the neighborhood underwent a major exodus of Latino/a residents in certain Gowanus census tracts; certain census tracts saw a flip from a Latino/a supermajority in 2000 to a majority white tract by 2015. As economic pressures have led to this decrease in the Latino/a population, de la Uz said, the median household income in Gowanus has spiked nearly 300 percent, rising from around $35,000 per year in 2000 and landing near $90,000 a year in 2015. These massive transformations have ushered in a new set of challenges throughout a neighborhood that is is already home to immense environmental contamination; currently, the highly contaminated Gowanus Canal is also home to the EPA’s federally-mandated Superfund remediation project that seeks to reduce heavy contamination throughout the Gowanus watershed. In 2016, after Mayor de Blasio announced plans to rezone Gowanus, land values began to increase, years before the actual rezoning has been unveiled. De la Uz walked audience through one of FAC’s key proposals for the upcoming rezoning — the creation of the city’s first EcoDistrict. The FAC’s proposed EcoDistrict would prioritize equity, resilience, and climate readiness throughout the entire Gowanus community. While the city has never implemented an Eco District, there are strong and successful examples from other cities across the country that New York City could use as a blueprint. De la Uz was followed by Andrea Parker, Executive Director of the Gowanus Canal Conservancy (GCC), who walked us through her non-profit’s vision for increasing open space and green infrastructure throughout the Gowanus canal watershed. Critically, Parker outlined the current issues with Combined Sewage Overflow throughout the Gowanus watershed, which leads to repeated canal contamination. While the city’s re-zoning moves forward alongside the Superfund remediation project, Parker reminded the audience that setting mandatory standards for green and blue infrastructure remain critical to any efforts which seek to build a climate-resilient, ecologically sound neighborhood. Parker suggested that the city’s rezoning could mandate a comprehensive set of standards for green infrastructure, alongside resilient design for newly created open space. Altogether, these opportunities for ecologically sound design could help Gowanus’ long-term residential communities thrive — and remain — in their neighborhood. Both FAC and the Gowanus Canal Conservancy play a critical role in the Gowanus Neighborhood Coalition for Justice (GNCJ), which is a grassroots coalition of stakeholders that are leading the rezoning process and outcomes. Key to their framework is the advancement of racial and economic justice, the preservation and expansion of affordable housing, and the promotion of environmental justice. In the coming months, both organizations will help steer the community’s response to de Blasio’s rezoning proposal and aim to secure equitable outcomes, green design standards, and more for Gowanus’ long-term residents. BWRC seeks a candidate to research and write a white paper that will set the context for our Spring 2019 Conference, “Housing along the Brooklyn Waterfront: Then and Now” (working title). Although the project intends to create an accessible and comprehensive historical account of housing within the geographic area, proposals are welcome from several disciplinary perspectives. An honorarium will be awarded to the selected candidate, and BWRC will schedule periodic meetings to consult with the candidate between November 1st, 2018 and February 1st, 2019. The final deliverable will be between 20-40 pages and will be published in the conference program. We welcome supplemental digital materials; the white paper will be published on our website <brooklynwaterfront.org>. Eligible candidates should have an academic affiliation and demonstrated scholarly expertise in urban history; urban planning; urban development; and/or New York City history. Applicants should prepare a 500-word prospectus and submit, with a brief cover letter, a one-page CV and a list of relevant publications by November 16th to Director Richard Hanley at rhanley@citytech.cuny.edu. Questions and inquiries can be directed to Director Richard Hanley. 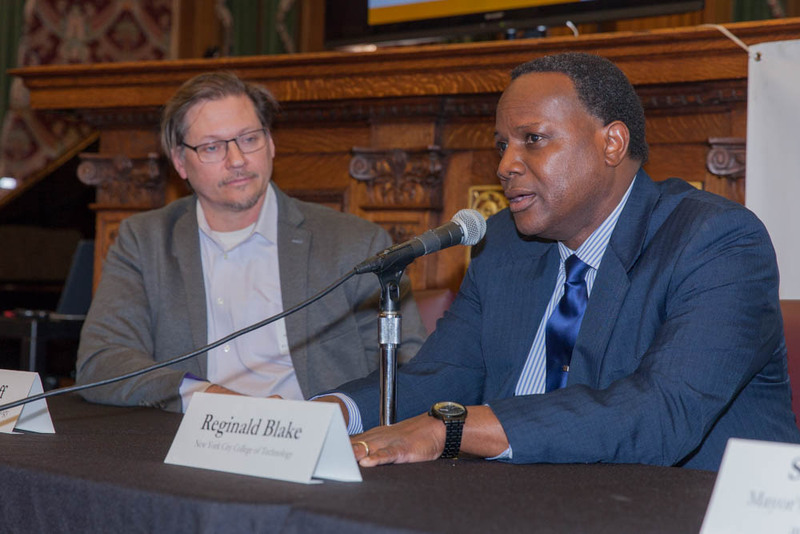 BWRC hosted Brooklyn Waters, its seventh conference at Borough Hall on April 20th, 2018. 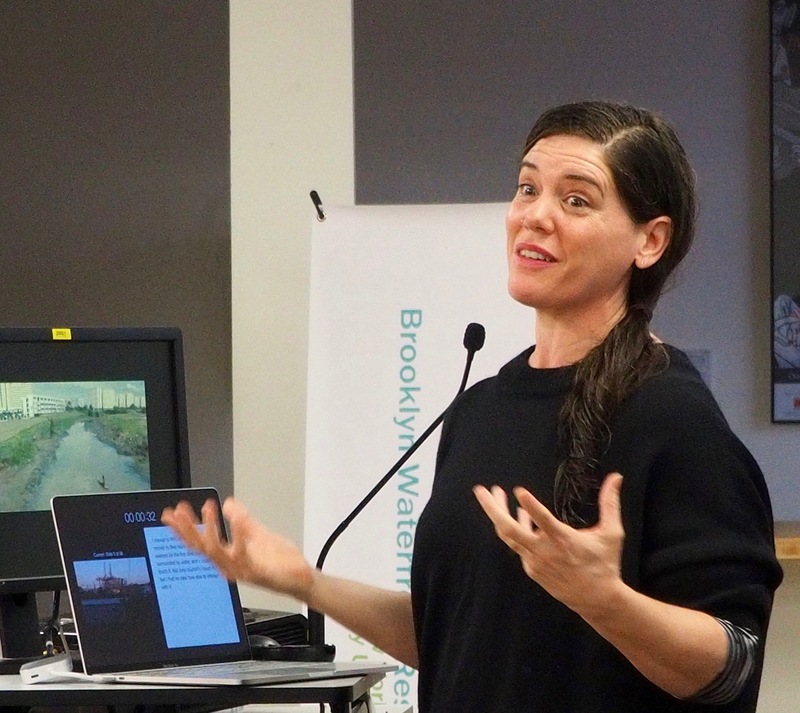 Titled Brooklyn Waters, the conference focused on the complex, interconnected issues of sea level rise, sustainability, and resilience along Brooklyn’s waterfront. BWRC was thrilled to host a sold-out event, with over 185 urban planners, government leaders, community advocates, and scholars registered. The gathering kicked off with featured speakers who spoke about the Brooklyn waterfront’s history, climate science, and current urban planning initiatives. 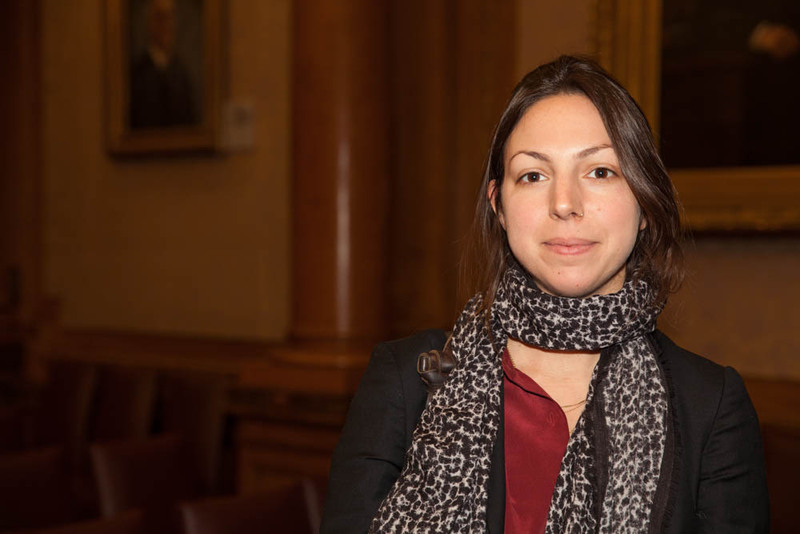 Julia Golia, Director of Public History at the Brooklyn Historical Society, outlined the history of Brooklyn’s working waterfront, providing much needed context on the development and transformation happening along the shoreline in Kings County. Cynthia Rosenzweig, Senior Research Scientist at NASA Goddard Institute for Space Studies, provided pertinent information on the current climate science behind sea level rise affecting New York. Closing out the morning’s framing conversation was Michael Marrella, Director of Waterfront and Open Space Planning at the NYC Department of City Planning. The first full panel, moderated by City Tech professor Benjamin Shepard, explored civic, government, and design response to sea-level rise and storm surge. The first panel featured advocacy leaders, Caroline Nagy from the Center for NYC Neighborhoods and Kate Boicourt from the Waterfront Alliance. 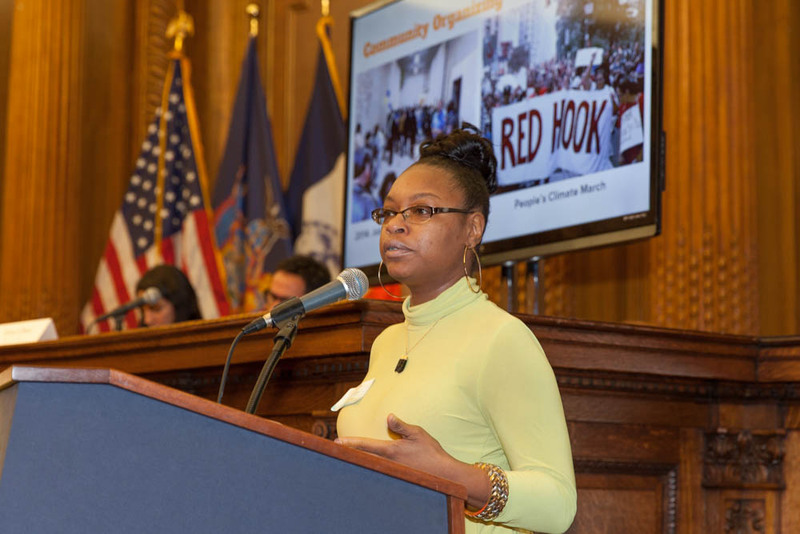 Tevina Willis, Local Leaders Facilitator with the Red Hook Initiative, walked the audience through grassroots resiliency efforts in Red Hook. Similarly, architect Eran Chen explained that his firm (ODA New York) prioritizes resiliency design efforts in more large-scale projects along the Brooklyn waterfront. 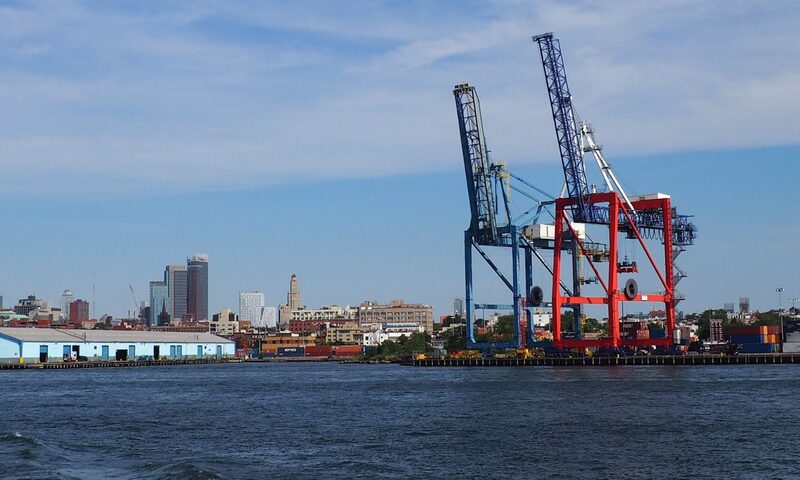 Another waterfront powerhouse, the Brooklyn Navy Yard Development Corporation, joined the conversation; Executive Vice President Clare Newman explained that the Navy Yard’s resiliency plan promises continued sustainable growth alongside steady job creation. After lunch, conference participants got a closer look at Brooklyn’s ‘soft edges,’ with an emphasis on Brooklyn Bridge Park and Jamaica Bay. Moderated by City Tech professor Reginald Blake moderated the panel that offered critical perspectives on both natural and built ‘soft edges.’ Executive Vice President of Brooklyn Bridge Park, David Lowin, explored the ways that a recreational edge environment prepares its infrastructure for rising tides and storm surge. Next, leaders from advocacy, research, and government organizations shared critical views on the role that Jamaica Bay plays in maintaining Brooklyn’s resilient edges. Adam Parris, Executive Director of the Science and Resilience Institute at Jamaica Bay, was joined by John McLaughlin, from NYC DEP’s Office of Ecosystem Services, Green Infrastructure, and Research. To close out the session, Lauren Cosgrove of National Parks Conservation Association discussed the vitality and critical ecological role played by Gateway National Recreation Area. 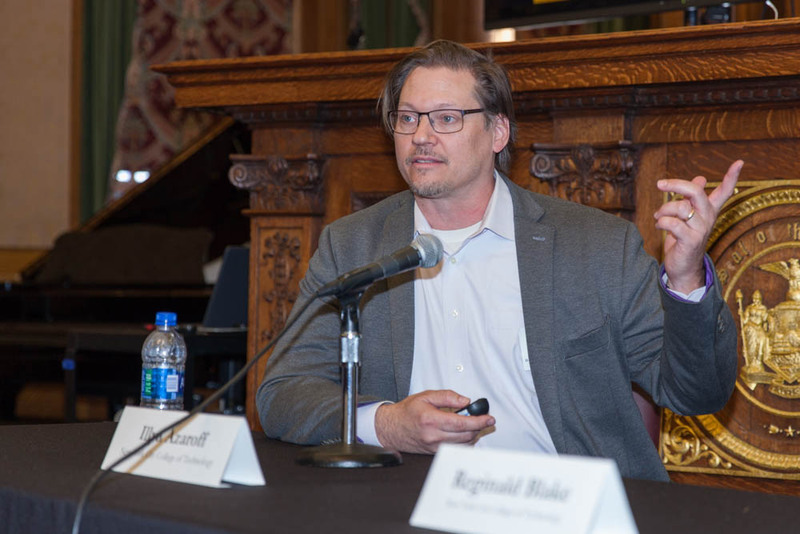 In the final session of the conference, Roland Lewis, President of the Waterfront Alliance, moderated a round table discussion on the future of resilience efforts in New York and beyond. 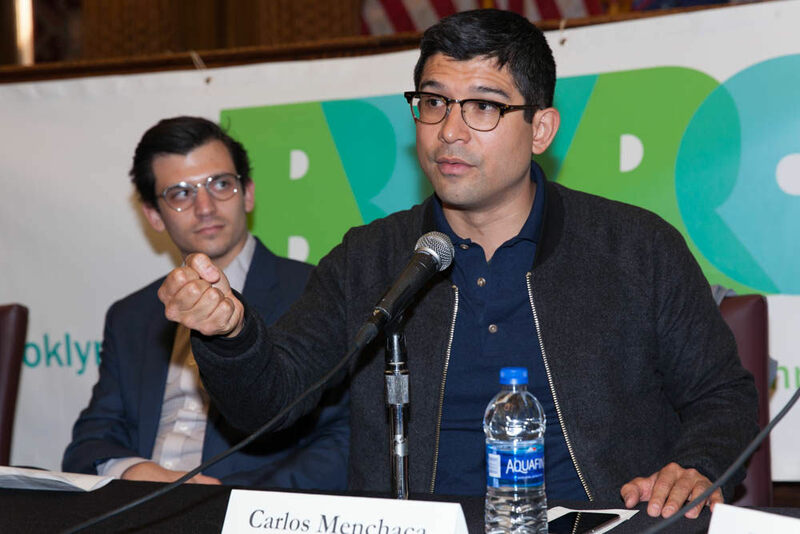 Council Member Carlos Menchaca joined the panel, imploring the audience to integrate political activism into all resiliency efforts. Alongside Menchaca were panelists Sam Hersh, of Mayor’s Office of Recovery and Resiliency and City Tech professors, Reginald Blake and Illya Azaroff. The day’s discussion and debate closed with a few words from BWRC Director, Richard Hanley, who gave a sneak peak of the 2019 conference topic: the contested issue of housing along Brooklyn’s waterfront. BWRC is thankful to all the panelists and moderators who joined us for an action-oriented day. 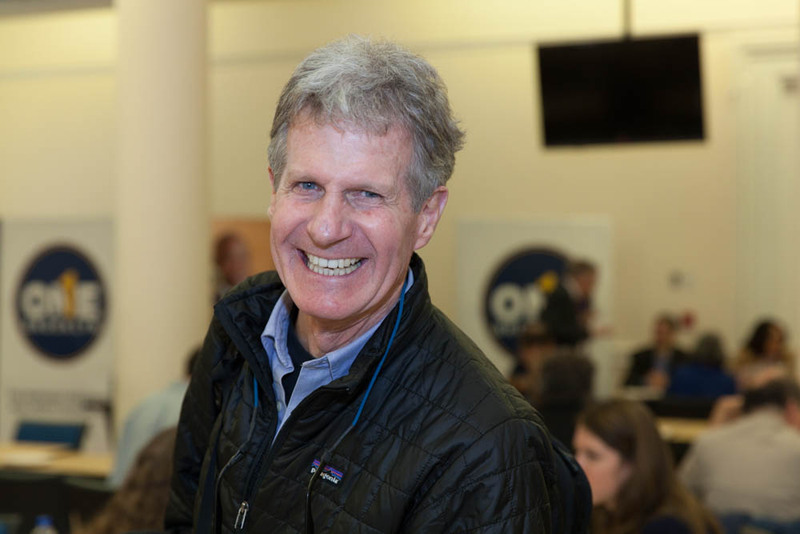 Finally, many thanks to Robin Michals for so generously photographing the conference. 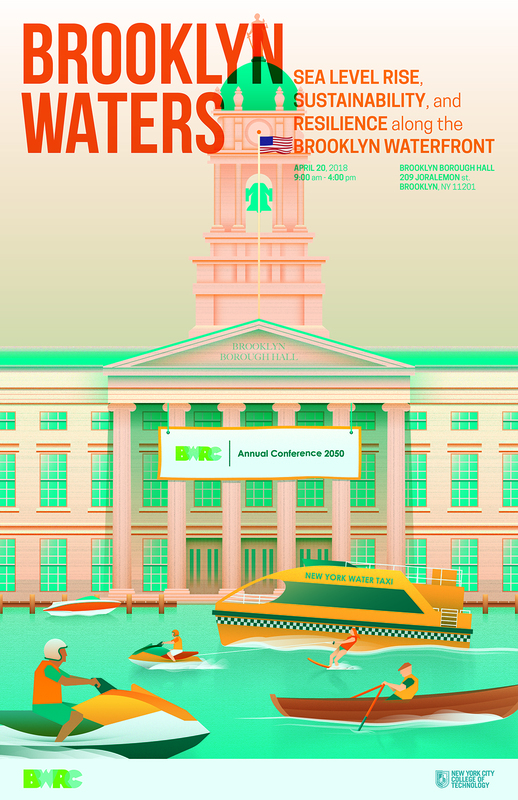 The Brooklyn Waterfront Research Center (BWRC) presents Brooklyn Waters, a full-day conference on sea level rise, sustainability, and resiliency along the Brooklyn waterfront. Brooklyn Waters will examine how preparation for storm surge and rising tides has already remade – and is set to radically remake – the coastal areas of Kings County. While the Brooklyn waterfront holds much in common with other coastal regions—and with those of its sister boroughs— the challenges it faces are unique. The past two decades have ushered in a dramatic transformation of the Brooklyn waterfront district’s built environment. Now, we are faced with yet another dramatic waterfront transformation in the coming two decades, one the will be driven by the unwieldy forces of ecological systems. The conference opens with a provocative primer on sea level rise, subsidence, and storm surges. A panel will discuss how these issues have already catalyzed change along the water—in the waterfront’s infrastructure, its transportation systems, its low-lying communities, and its public housing. The core of the conference, however, will center on the question: What is the future of Brooklyn’s built and natural waterfront? Brooklyn Waters will offer a diverse set of perspectives on the topic of future interventions and approaches to rising tides. Various waterfront community leaders will share their grassroots planning efforts. City officials will speak about both the near and long-term promises of resiliency planning. 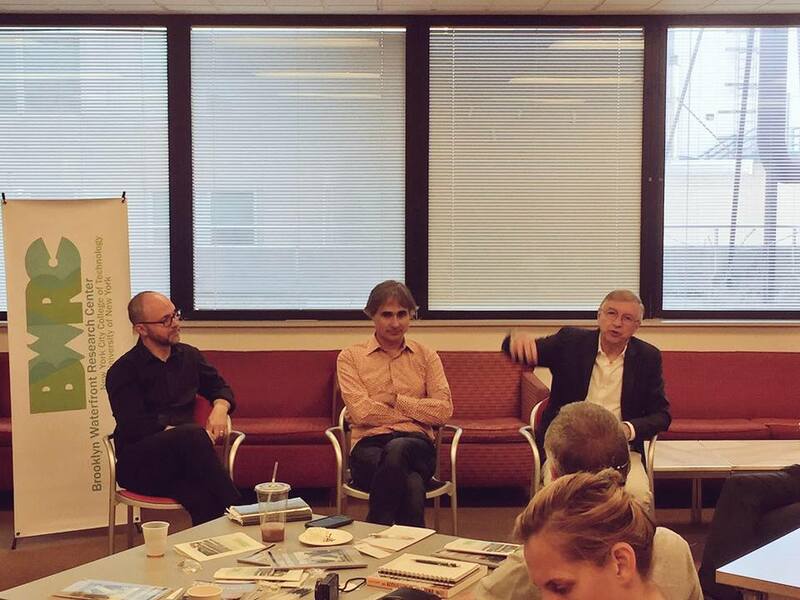 Architects will debate the role and limits of design in creating resilient neighborhoods. Environmental experts will discuss efforts to protect Brooklyn’s natural and constructed shorelines, including Jamaica Bay and Brooklyn Bridge Park. The conference’s agenda will span the gamut from urban policy, engineering, community activism, to land use. Please register here & reserve your seat today. Panel two focuses on two jewels of the Brooklyn waterfront: one built and one natural. Panelists will explain how the first, Brooklyn Bridge Park, was designed for resilience and how the second, Jamaica Bay, is the object of study and efforts to keep it sustainable. Jamaica Bay is a collection of various endangered ecosystems—salt marshes, fresh ponds, beaches, and dunes—that are of intrinsic value in themselves as well as being important to the ecology of the region. We will hear from panelists representing organizations engaged in this work of study, preservation, and resilience. The last session of the day will feature a forward-facing discussion that will invite conference participants to jump into the discussion. Representatives from the Mayor’s Office of Recovery & Resilience will be joined by Council Member Carlos Menchaca as well as community leaders and architects. This forward-looking group of panelist will tackle the often side-stepped, more macro-questions: What are some near-term and far-term developments for which New York City citizens should be prepared? What emerging realities – managed retreat, widening flood plains, transformed housing demands – should be centered more in our public debate about climate change? What will the challenges posed by Brooklyn’s waterfront geography demand of both citizens and government alike? Light refreshments and a full lunch will be served. For further questions and information, please contact ccastellan@gradcenter.cuny.edu . The BWRC hosted a breakfast talk “Art at the Water’s Edge,” on Friday, March 2nd, which featured a panel discussion on participatory art eviactices along Brooklyn’s waterfront. Moderated by City Tech professor Robin Michals, the panelists discussed their respective creative practices and emphasized the waterfront’s role in their process, craft, and creative goals. Although they employ different media, the four artists all shared a deep commitment to place, New York City’s waterways, and civic engagement. Dylan Gauthier, a Brooklyn based artist and educator, focuses on research-based and participatory projects that draw citizens into conversations about architecture, ecology, and urban design. 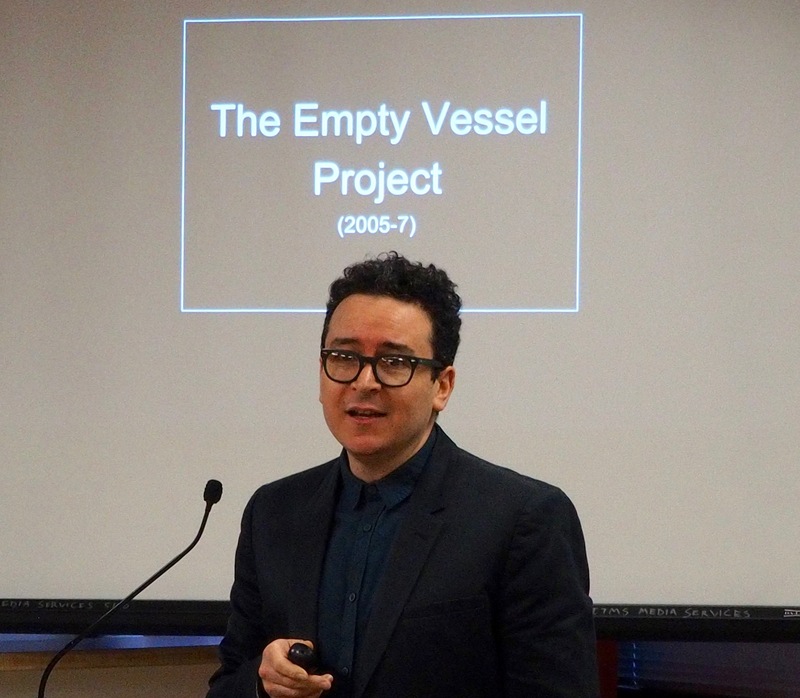 Gauthier’s direct engagement with the Brooklyn waterfront began with the Empty Vessel Project in the Gowanus Canal, a project that utilized a boat as both community and performance space. Later, Gauthier launched Mare Liberum, a community boat-making initiative that uses reclaimed urban materials as the raw base materials for rowboat construction. With regular boat launches into the Newtown Creek, the Mare Liberum collective convenes community discussions that stoke critical dialogues around agemigration, urban design, and local politcs. Sto Len, an artist and printmaker, discussed his intimate connection to the Brooklyn waterfront in his Suminagashi (floating ink) printmaking. In this process, Len creates direct prints of the surface oil traces in local waterways. As Len developed his Suminagashi process, he sought out opportunities that could connect his water-based printmaking with questions of local ecology. Eager to document the Greenpoint oil spill, Len began to generate prints from oil traces floating upon the waters of Newton Creek. Later, Len’s work carried him to Vietnam where he explored the social and ecological life of waterways. Following his Vietnam-based work, Len put up a solo show that quickly became the centerpiece of a community discussion about water quality and ecological stewardship in Vietnam. 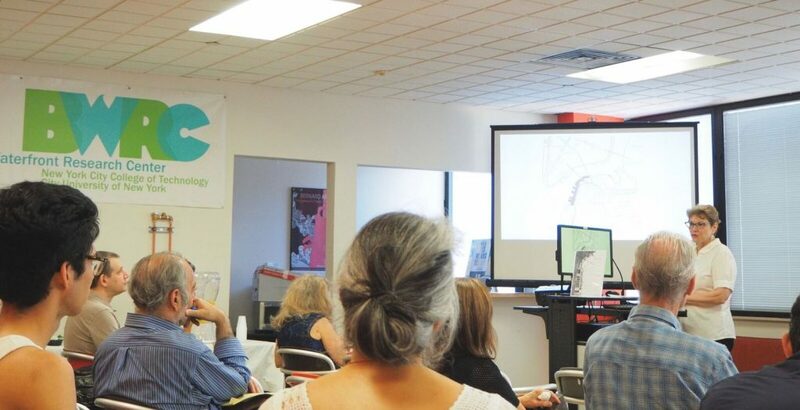 Artist and professor, Nancy Nowacek, shared her experience of attempting to design, construct, and gain approval for Citizen Bridge, her proposed floating bridge project that would span the distance from Brooklyn’s shoreline to Governor’s Island. Through the process of prototyping, Nowacek continues to engage multiple stakeholders that range from engineers to city agencies to legal firms. Largely an iterative process, Citizen Bridge currently remains in the prototyping phase, with Nowacek actively developing and expanding the project’s community-reach. 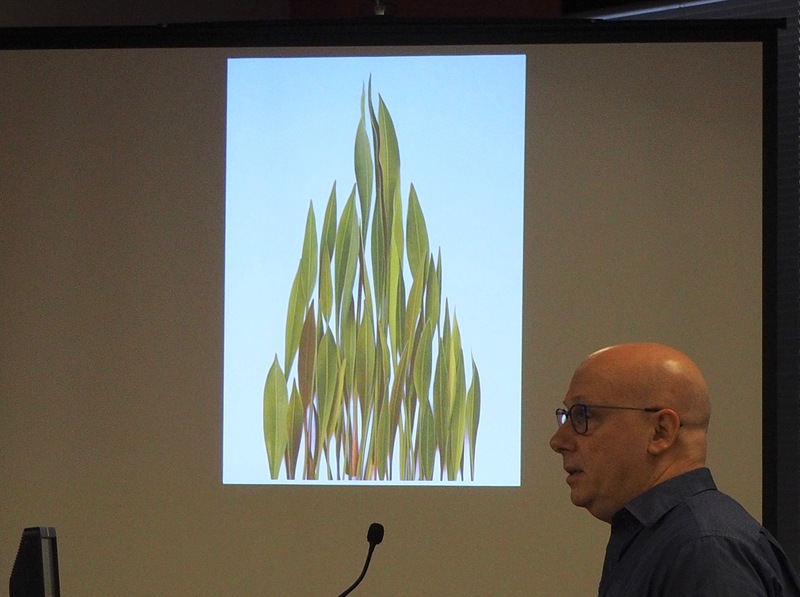 Artist Barry Rosenthal closed out the morning panel with a compelling overview of his “Found in Nature” series. Working as an urban archeologist, photographer, and sculptor, Rosenthal culls his art objects from the trash and debris strewn along New York City’s shorelines. Later, Rosenthal turns these found objects into large-scale photography installations. Through his revolving process of culling shorelines, categorizing trash, and staging photographs, Rosenthal has amassed a mammoth archive that traces the ever-expanding ecological impact of human consumption on our immediate coastal landscapes. Taken together, the panel showcased how waterfront art practices are effective in generating critical conversations about local ecology, politics, and community. Through varying participatory art practices, Brooklyn-based artists are opening up the waterfront and using it as a space for both creative and community-driven interventions. Critically, all the artists closed out the panel by noting collaboration’s inherent political power, emphasizing the need to involve new stakeholders while simultaneously building toward larger scales of action, policy-making, and creative production. Gould and Lewis are professors of sociology at Brooklyn College and professors of sociology and earth and environmental sciences at the CUNY Graduate Center. Together, they took us through a geographical view of the Brooklyn waterfront and explained how Green Gentrification is affecting waterfront communities such as Red Hook and Sunset Park. They explained the importance of keeping communities sustainable by making an effort to keep neighborhoods affordable for the residents already living there. The talk ended in a spirited question and answer period during which the speakers provided ways for communities to gain green infrastructure and still serve and retain current residents. BWRC was excited to orchestrate an event where people engaged in discussions about creating sustainable living conditions for New York residents. BWRC looks forward to continuing to serve as a catalyst for discussions about creating sustainable and environmentally benign living conditions throughout our communities. On Friday, September 22nd BWRC welcomed 25 Belgian urban planners to City Tech for a discussion about design initiatives along the Brooklyn waterfront. To kick-off our waterfront exploration, BWRC hosted two design scholars to share remarks on their respective Brooklyn-based projects. Dan Campo (Ph.D. Director of the Graduate Program in City & Regional Planning at Morgan State University), shared a compelling overview of his research on improvisational park-making practices along the Brooklyn waterfront. Accidental Playground (2013), Campo’s ethnographic exploration of the Brooklyn Eastern Terminal District, surveys the methods used by waterfront residents as they fought to create and protect public space in the yet-to-be developed waterfront during the early 2000s. Campo’s presentation followed the thrust of his research, asking the crucial question: can contemporary urban residents continue to create organic uses of public space in the face of accelerating urban development? Campo closed by posing a direct question to the Belgian delegation – how can professional planners plan urban communities that allow for, and even encourage, democratic and improvisational uses? Adam Lubinsky of WZY architecture firm presented about his integrated design work in the Brooklyn Tech Triangle. Lubinksy explained some of the unique characteristics of the Tech Triangle, namely the large number of new tech jobs that the city plans to integrate into the area, as well as the high-density of 12 universities (home to over 60,000 students). Specifically, WXY’s planning work on the area aims to re-think and re-tool previously underutilized spaces within the Triangle in an effort to absorb the anticipated increase in workers and students over the next five years. With a specific focus on The Strand Action Plan, the WXY firm has drawn up a plan to weave together currently disjointed public spaces throughout the Tech Triangle. By creating a connected corridor of public spaces, the Strand Action Plan aims to remediate some of negative spatial impacts of the Brooklyn Queens Expressway. The Brooklyn Tech Triangle project is a dynamic and complex project that takes its cues from multiple stakeholders. Currently, all feasibility studies are coordinated by the New York City Economic Development Corporation, while all public engagement efforts are spearheaded by private the interest group, the Downtown Brooklyn Partnership. After our keynoters presented their waterfront research, the Belgian urban planners were given a guided tour of the Brooklyn Navy Yard by Andrew Gustafson, President of Turnstile Tours. Overall, BWRC was thrilled to facilitate a day-long conversation with our international planning colleagues. 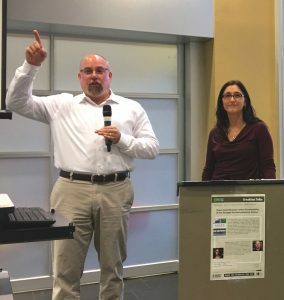 Campo and Lubinsky’s presentations served as a fruitful catalyst for a day-long exploration into the possibilities for developing the waterfront’s built environment. BWRC looks forward to hosting similar planning delegations in the semesters to come! BWRC offers a special thanks to delegation facilitator, Jens Aerts (Planner for Bureau for Urbanism), Dean Justin Vazquez-Poritz (Dean of the School of Arts and Sciences at New York City College of Technology) and the Rick Russo, Senior Vice-President and Chief Operating Officer of the Brooklyn Chamber of Commerce. BWRC offered its final breakfast talk of the spring semester On May 19. The featured speaker was Joanne Witty, who discussed her recent book Brooklyn Bridge Park: A Dying Waterfront Transformed, co-authored by the late Henrik Krogius. A lawyer and environmentalist, Ms. Witty was directly involved in the creation and development of Brooklyn Bridge Park. Beginning in 2002, she served as director of the Brooklyn Bridge Park Development Corporation, responsible for the park’s master plan, and as vice president of the current Brooklyn Bridge Park Corporation. Her book documents the area’s transformation from a disused port facility to a thriving public park, involving the Port Authority, the Brooklyn Heights community, and several mayoral administrations. To learn more about Joanne Witty and Brooklyn Bridge Park: A Dying Waterfront Transformed, visit http://brooklynbridgeparkbook.com/.